Is 4-Year-Old Baby Jare The 'Most Beautiful Girl In The World'? Oh yes she’s human ! She’s also an angel ! “J A R E “ I want to portray the interception between her childhood and adulthood so both stay timeless! I could have made her smile and make her laugh out loud but I put her in their natural moments for us to see through their eyes! Posing them as adults ! 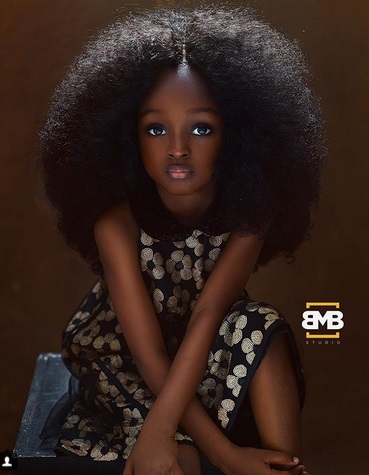 “Jare isn’t a professional model,” Bamuyiwai adds, saying the girl’s two sisters, Jomi, 7, and Joba, 10, with their “striking features and strong characters,” have also posed for photos. Bamuyiwai says she inspired the children’s mother to launch an Instagram page for her daughters called The J3 Sisters, where they already have more than 5K followers. 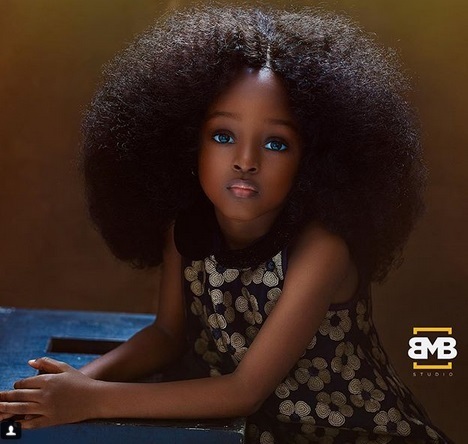 » Is 4-Year-Old Baby Jare The 'Most Beautiful Girl In The World'? 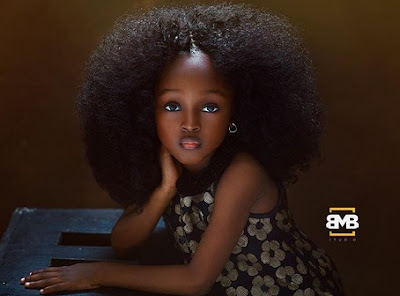 » Is This 4-Year-Old Nigerian The 'Most Beautiful Girl In The World'?